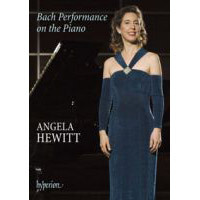 Angela Hewitt shares the inspiration and experience behind her award-winning playing in an illustrated lecture that explains the technical and practical steps essential for performing Bach on the piano. For the first time she appears on a 2-DVD set, launched in conjuntion with her Bach World Tour which took her to all corners of the globe during the 2007-2008 concert season. In the first disc, she conducts a ‘masterclass’, discussing all the challenges, possible pitfalls and delights in performing Bach on the piano. 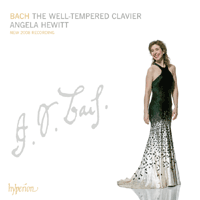 The second disc features Hewitt live in concert. This is an unmissable release. 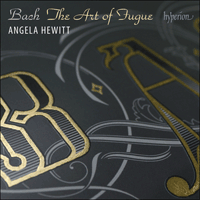 Angela’s much-awaited recording of Bach’s ultimate masterpiece, The Art of Fugue, is destined to be the crowning achievement of her Bach cycle for Hyperion (…) With decades of experience behind her, she breathes fresh air into the most complex keyboard-writing of Bach, bringing it to life with crystalline clarity and thoughtful sincerity. 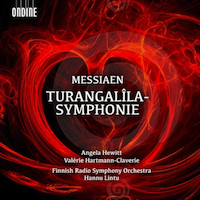 Angela Hewitt is the piano soloist on this Ondine recording (Hybrid SACD) of Olivier Messiaen’s mammoth Turangalîla-Symphonie, played by the Finnish Radio Symphony Orchestra conducted by Hannu Lintu. The ondes martenot soloist is Valérie Hartmann-Claverie. 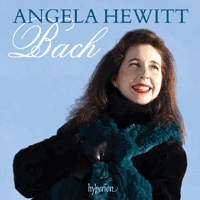 Angela Hewitt turns to two of Mozart’s greatest and most popular concertos for her latest album. Together with her frequent collaborators, the Orchestra da Camera di Mantova and brilliant Finnish conductor Hannu Lintu, she presents these works in performances which are both elegantly stylish and profoundly felt. 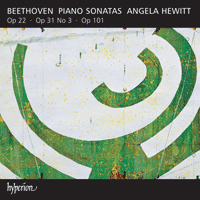 This release is completed by a personal reflection on the music by Hewitt herself in the accompanying booklet. 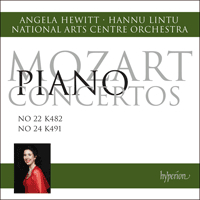 Two of Mozart’s greatest piano concertos are featured on this album in which Angela Hewitt is partnered by Ottawa’s National Arts Centre Orchestra, conducted by Hannu Lintu. 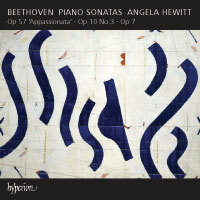 This is the second in a series of Beethoven CDs by Angela for Hyperion. The programme comprises three Sonatas which she has played in public for many years: the lyrical “Pastoral” Op. 28; the famous “Pathétique”; and the virtuoso C major Sonata Op. 2 No. 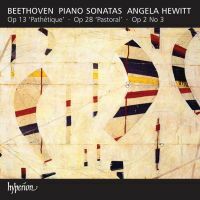 3–one of the highlights of early Beethoven. 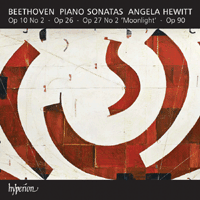 Angela Hewitt presents a fourth volume in her acclaimed series of Beethoven’s piano sonatas, which has delighted her fans worldwide. 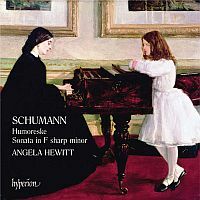 Angela Hewitt’s first recording of works by Robert Schumann will come as a surprise to many, but it is repertoire that she has lived with for several decades, ever since she was a prizewinner in the International Schumann Competition in Zwickau (Schumann’s birthplace) in 1977. Both works on this CD deserve to be heard more often than they are.